Do you want to write professional resumes and CVs that are distinctive, dynamite and hard-hitting and will give your customers the confidence to look forward to job interviews? 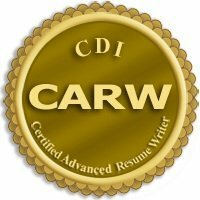 Are you ready to earn a top industry credential with CDI’s Certified Advanced Resume Writer? Hi, I’m Gayle Howard, an award-winning and in-demand professional resume writer and author of this training course. I have 28 years at the top of the profession, have received 51 Toast of the Resume Industry (TORI) nominations resulting in 29 first place awards (30 awards total) and a World’s Best Resume Writer award. I’ve written more than 15,000 resumes and have been published in more than 23 resume writing books internationally. Are you serious about getting real, actionable results? Don’t leave your clients’ future (or your own) in the hands of self promoting amateurs; you owe it to yourself to get tried and proven insider knowledge that will catapult you into the ranks of the top professionals. If you want the quickest way to improve your writing, sign up now. Look at the following list and see what you’ll achieve by being coached by one of the world’s leading resume writers. First – the 5-second scan – keep or dump? … 95% are dumped. Second – the 1-minute peruse – meet requirements?… further 3% dumped. Review the course content and commonly asked questions. You will be learning the tricks of the trade from one of the most respected resume writers. You will gain the information and knowledge that will enable you to blast ahead of your competition, command greater fees, and increase your client referrals. Is a TORI award in your future? Why not? Sign up today to get the training that will change your career. This is not a push button, done for you template or fill-in-the-blanks course. If you are not prepared to do the work and stir up the grey matter, then go no further. Now, if you’re still reading this, then congratulations, you have the commitment it takes and you can be on the road to taking control of your career, your fees, your success and your clients’ satisfaction. You are able to set aside your own time for learning and at your own pace. No hurrying to play catch-up or missing important points because you are writing notes. Do it on the weekends, at night, or when the kids are at school. You do it when you feel the time is right and you are ready to learn for a more prosperous life. Sign up below to start on your journey to certification and more satisfied clients. You will have your new knowledge tested, validated and assessed because you need to know that you’ve understood and can apply your new skills properly. 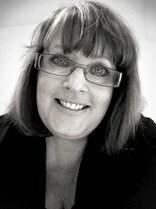 Gayle Howard, Certified Master Resume Writer with more than 28 years of resume writing experience will be your support mechanism, mentor and cheerleader throughout your training. Complementing the fun, animated videos and downloadable PDFs, will be Gayle providing the mentorship and support to help you learn; when and where you need it and without the complications of waiting for teleseminars or being directed to canned responses. Since it is a self-paced curriculum, you can take as long as you need within one calendar year of registration. However, Gayle has found that most students will complete it within only 10 weeks. When you first start the early modules may take as little as a half an hour to an hour. But towards the end where the intensive writing exercises/assignments are, you could be spending four or more hours for the last couple of modules. On average, Gayle estimates 2-2.5 hours per week for 10 weeks. Please be advised that you must maintain an active CDI membership to complete any phase of the program. Get on the fast track to certification now and start learning what the top professionals know while nurturing your talents, boosting your confidence and securing your place among the industry leaders. Sign up below to begin learning the insider secrets and wisdom from a guru with 22 years at the top of the profession. PS…to ensure you get personalized, quality coaching, we limit the number of clients we coach at any one time. Once the limit is reached, new clients are placed on a waiting list until we have space available. We will notate here if there is a current waiting list. Sign up now to start on your journey to certification and more satisfied clients. The CARW Certification must be renewed every two (2) years by earning 30 industry-related continuing education units (CEUs). This can be completed through a variety of activities such as: employment-related book reviews, career-related community service, completing related coursework or study, publishing resumes, and/or authoring articles, blog posts, and related materials on resume writing. The renewal fee is $50.00. Download the Renewal Form. Why is renewal necessary? Because the craft of resume writing is dynamic and is swiftly changing with the advances in computer technology and applicant tracking / scanning as well as emerging legal issues involving resume fraud. These are just a few concerns that make it necessary for professionals to demonstrate ongoing education and knowledge of modern resume writing techniques. All requirements of CARW certification, renewal, and CDI membership standards must be maintained in order to retain a CDI credential. CDI reserves the right to revoke a CARW credential for any of the following: Renewal requirements are not maintained and completed within required timelines. Membership lapses due to non-renewal. Individual is found guilty in a court of law for a grievance within the industry (unprofessional, unethical, unlawful conduct and/or business practices). Thank you! There are no words to describe how happy I am now! It was one of the best decisions I’ve ever made that I chose this program; it definitely helped me develop myself and prepare for work as a resume writer. I researched several certification programs before deciding on CDI’s Resume Mastery e-course. Your program was outstanding and affected the way I am running my own business. You’ve been a fantastic teacher and I can’t overstate how much I’ve learned from you. Most important, you have greatly enhanced my writing skills and confidence. If you are serious about learning to write resumes, you should take a close look at the Resume Mastery course. Gayle is an incredibly knowledgeable and caring instructor. She’s very quick to address any problems her students have and leaves no stone unturned while helping to solve them. She gives it her all. And she expects the same from her students. When I first decided to work toward my CARW designation, I felt a little lost. I had thought I was a good resume writer, but quickly found out that writing resumes is a very complex skill. I didn’t know where to begin learning what I needed to know in order to pass my certification. I decided to take CDI’s resume mastery course for some guidance. It was the best investment I could have made! The knowledge I have gained from Gayle’s instruction has been invaluable. Gayle is a creative, knowledgeable writer and gives very detailed, thorough feedback. I was able to confidently write resumes that produce results for my clients right off the bat after getting certified. CDI’s resume mastery course has provided me with the distinctions of a high level resume writer. I take my hat off to Gayle Howard, the creator, the facilitator, and a wonderful lady to deal with. The course was easy to get through, and I especially found the audio useful (nice to hear an Australian accent too!). There are several assignments that have been well designed to assess competency and I felt supported the whole way through. Gayle would always welcome additional assistance after providing her feedback. She has a supreme command of the English language, and is willing to share her knowledge with her students.